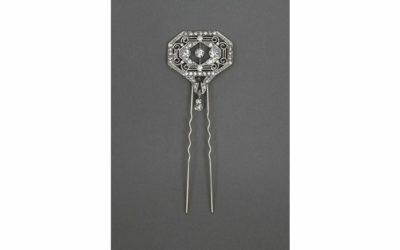 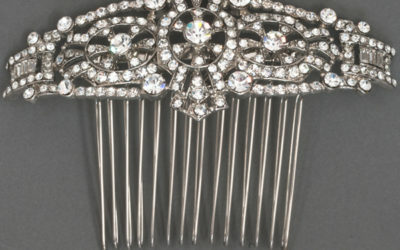 Large size Art Deco inspired comb that resonates ‘Old Hollywood’ to the fullest. 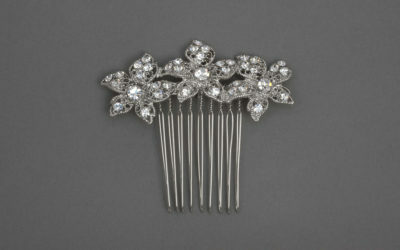 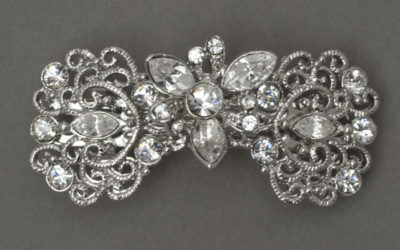 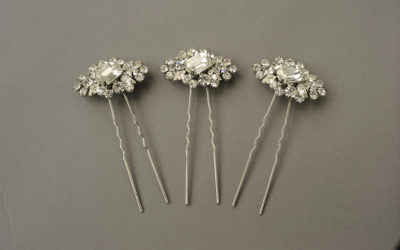 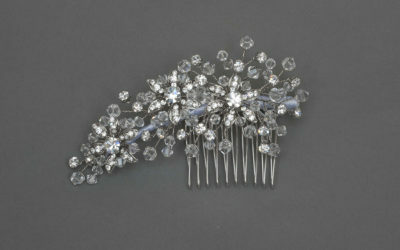 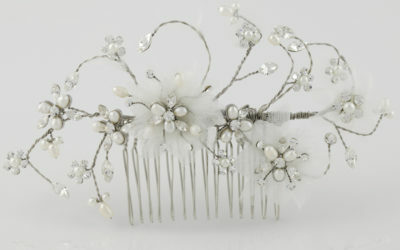 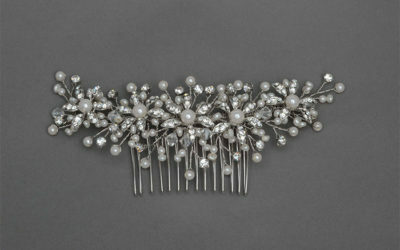 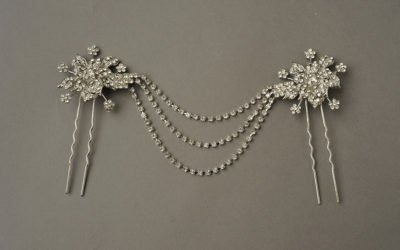 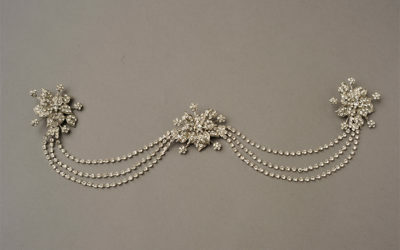 A lovely comb with minimal sparkle, and more prominent petite fresh water pearl accents. 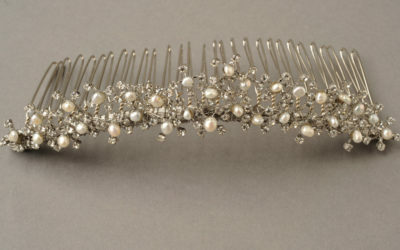 Lovely worn at the top of the head nestled against an upsweep. 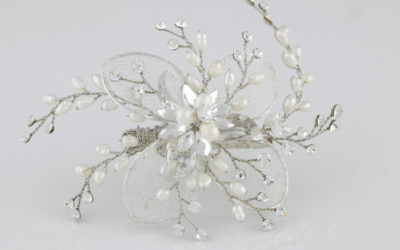 A petite creation for bridal party or the bride who wishes for just a hint of sparkle – filigree mold with Swarovski crystals.